Xbox 360 is clearly set on its goal- to provide top class entertainment to both gaming and non gaming fans and to be more just just a gaming console. In line with this goal, Microsoft has just announced that users around the world will be getting 43 new Xbox apps in the coming days right up to the spring of 2013. According to Xbox marketing and strategy chief Yusuf Mehdi, an Xbox 360 Live user typically spends more time watching movies and TV shows and listening to music online than playing online video games. Microsoft is therefore working hard to match consumers needs with services of its own. Last year it updated its dashboard to include providers such as Hulu Plus, and ESPN among others. A couple of days ago, Microsoft rolled out the SkyDrive app for Xbox, which lets users link their Xbox 360 consoles to their televisions as well as the cloud; meaning users can access content thats on their mobile device, web or desktop from the console. 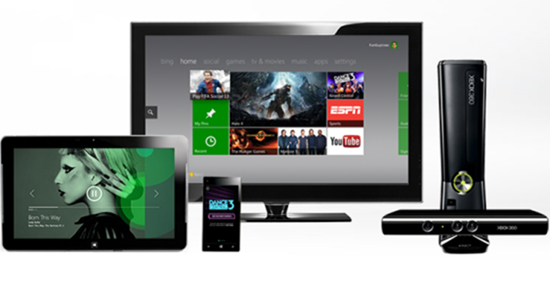 The company’s Xbox Live programming director Larry has announced the full list of new Xbox apps on his blog. Here’s a copy of the list. Additionally, several new Xbox apps are rolling out now including CNET (US, Canada), Karaoke (All LIVE regions, excluding Japan and United Arab Emirates), and VEVO (Expanding to Spain, Italy & France). Check Larry’s blog for more details. If you own an Xbox live subscription, it sure is going to be an entertaining year ahead.